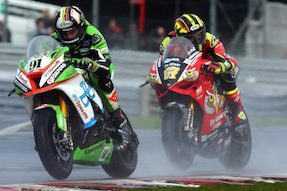 JG Speedfit Kawasaki's Leon Haslam goes in search of victories in Sunday's two races of the MCE British Superbike Championship penultimate round at Assen in Holland. “Assen was one of my favourite circuits when I was racing in the World Championship and I got the double win there in the British Superbike Championship last year in front of Shane Byrne so I’m feeling quite good. “Conditions at the round in 2016 were quite cool but dry and looking ahead to this weekend the weather forecast is a bit mixed with the chance of rain but much warmer temperatures so the pace will change quite a lot.